A LOOK BACK AT DAYTONA HISTORY: Though new to the GTD class, Michael Shank Racing is one of the most experienced in the paddock when it comes to the rigorous Rolex 24 At Daytona. The team has competed in the event since 2004 and as the winners of the 2012 50th Anniversary running of the Rolex 24, Michael Shank Racing knows the combination it takes to come out on top. FIVE PREVIOUS ROLEX 24 WINNERS: Of the eight driver line up for Michael Shank Racing this year, five of them are Rolex 24 winners. 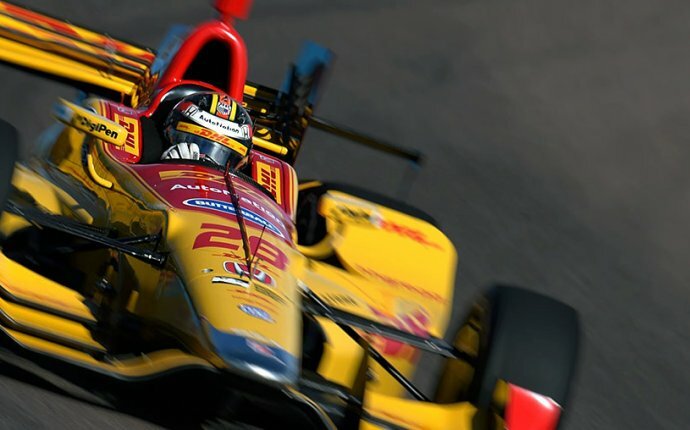 Ozz Negri (2012 – overall), Jeff Segal, (2014 – in class), Mark Wilkins (2014 – in class), and Graham Rahal (2011 – overall) each have one win. Andy Lally has won the event five times (2001, 2009, 2011, 2012, 2016 – in class) and is tied for second in most Rolex 24 wins with Peter Gregg, Hurley Haywood and Bob Wollek. If Lally were to win his sixth Rolex 24, he’d move into sole possession of second place behind Scott Pruett who has 10 victories. NEW FOR 2017: In addition to the brand new cars and drivers in the Michael Shank Racing stable, the team has also added seven additional team members for the two car-effort. New for 2017 is Team Manager Tim Keene, who spent time in a management role at DeltaWing Racing and Chip Ganassi Racing. 2017 also yields a brand new website for Michael Shank Racing coming this week ( and the team will launch a brand new merchandise line beginning with the Rolex 24 event weekend. 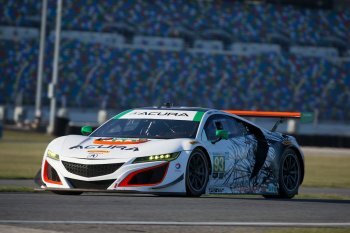 HART RACING SUPPORTING ACURA EFFORT: HART Racing (Honda of America Racing Team), a longtime competitor in the IMSA Continental Tire SportsCar Challenge Series with the Honda Civic, is taking the 2017 season to learn more about the Acura NSX GT3 by working with Michael Shank Racing. Each of HART Racing’s team members are full-time employees of Honda R&D in Raymond, Ohio and Honda of America Manufacturing in Marysville, Ohio and each has worked on the development of the production NSX. The Honda-based HART Racing team, a program that operates with a dedicated group of volunteers, is located just on the other side of Columbus, Ohio from Michael Shank Racing. 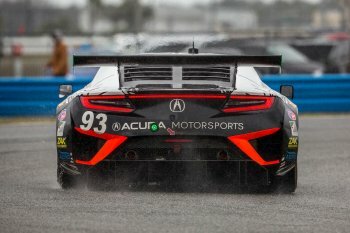 As HART works to develop plans to race with the Acura NSX GT3 in the future, the team will step away from competition in the IMSA Continental Tire SportsCar Challenge to take on this new and important role. IT’S A FIRST: Tom Dyer will make his first start in the 2017 Rolex 24 At Daytona as he makes his first IMSA WeatherTech SportsCar Championship start. He competed in the IMSA Continental Tire SportsCar Challenge Daytona event twice in 2012 and 2013 with a best finish of fifth in the ST class (2012). Though new to the Rolex 24, Dyer has plenty of experience in 24 hour races. He’s participated in several 24 Hour events including: 24 Hours of Dubai, 24 Hours of Barcelona, 24 Hours at Paul Ricard, and the 25 Hours of ThunderHill. In addition to the 2017 Rolex 24 At Daytona, Dyer will also compete in 24 hourraces at Paul Ricard (May), Portimao, Portugal (August), COTA (November) and the 25 hours of Thunderhill (December). FOUR TIMES AROUND THE CLOCK: Though Tom Dyer will make his first Rolex 24 Hour start this weekend, he’s already completed a first twice around the clock event this month. Direct from the Roar, Dyer hopped on a plane to take part in the 24 Hours of Dubai and packed in some serious preparation for his next 24-hour enduro this week at Daytona. WILKINS, RAHAL, RHR ALL BACK WITH MSR: Endurance drivers Mark Wilkins, Graham Rahal, and Ryan Hunter-Reay have all driven for Michael Shank Racing in previous Rolex 24 events. Wilkins joined the team in 2010 and finished fifth alongside Ozz Negri, Burt Frisselle, and John Pew. Graham Rahal teamed with Michael Shank Racing in the 2008 Rolex 24 for a sixth place finish with Negri, Mark Patterson, and Justin Wilson. Ryan Hunter-Reay was part of the 2008 Rolex 24 effort in which he co-drove with Ozz Negri, Mark Patterson, and Colin Braun. Why 86 and 93? The number 86 represents Acura’s birth in 1986, while the number 93 represents the year HPD was founded in 1993. Chassis – Production multi-material, aluminum-intensive space frame, manufactured at the Performance Manufacturing Center in Ohio, alongside production Acura NSX vehicles. Engine – Acura 3.5-liter, 75-degree, twin-turbocharged DOHC V-6, using the same design specifications as the production NSX, including the cylinder block, heads, valve train, crankshaft, pistons and dry-sump lubrication system. RT @MichaelVPina: LeBron James was +7 in 46 minutes and his team lost by five. In a game of incredible stats, nothing touches that.